Digital rights activist and founder of MediaNama, Nikhil Pahwa opened this week's Tech2 Talks with an interesting statement. "Every one of us needs to be an activist in this country, we need to be active citizens." hinting that we the citizens of India are the only ones who can fix things and take care of issues that affects each and every one of us. The discussion shed plenty of light on the rather controversial topic about the Aadhaar identification system that threatens the digital privacy and personal identity of the citizens of India. The efforts made by digital rights activists like Nikhil Pahwa and his team are more about pointing out the errors, mistakes, shortcomings and the dangers related to misuse and suggesting ways to overcome the same complications in the Aadhaar identification system. 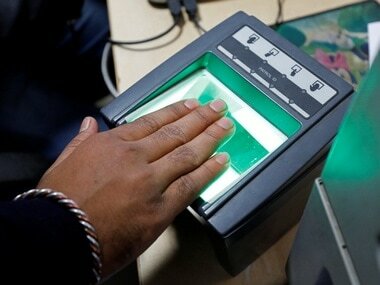 Pahwa suggested that Aadhaar in its current state is unconstitutional because of the fact that it does not give the citizen, control over their personal identification data. He said that we should have the right to choose whether we want to share our personal data obtained by the Aadhaar system. Having given the constitution to govern ourselves, it is vital that we first understand that the leaders we have selected are not our rulers but are our representatives. With that said, Pahwa believes that despite representing us, they are becoming rulers in the sense that they are forcing Aadhaar upon the citizens of India. The forced fingerprint identification, iris scanning data is then stored and then being distributed with other services and companies, turning it from a personal asset into public asset. Pahwa claims that the government will then privatise the data by giving it out to credit card companies, loan companies, banks and even telecom companies. On the topic of privacy, he said "Our government went to the Supreme Court and argued against our fundamental right to privacy, which is why we cannot trust our government." The founder of MediaNama says that "we have to be very conscious, very vigilant and active citizens and track what the government is doing with our biometric and personal Aadhaar data."